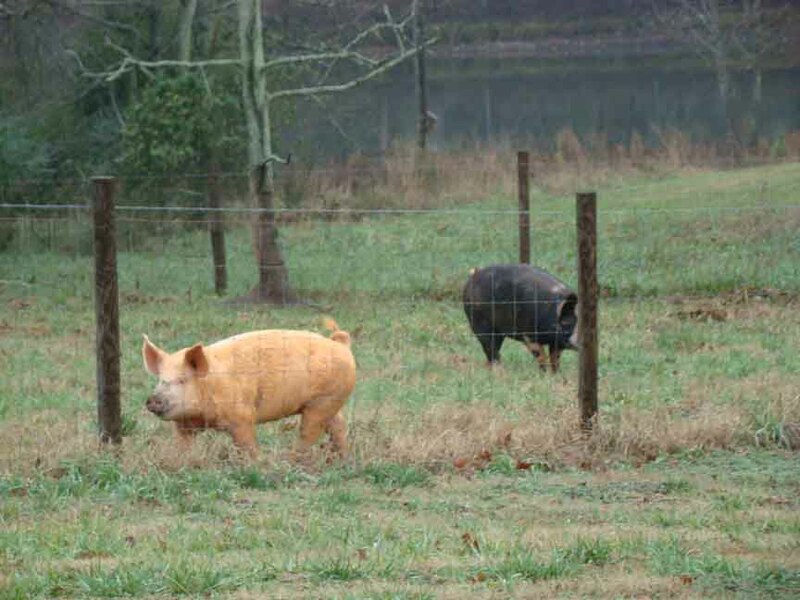 We have freeranging, pasture-raised pigs. We have sold or reserved all of our pork at this time. Canoe Lake Farm now has a label for pork cuts and sausage, so we now sell our meat at Athens Locally Grown by the individual cut. The meat is locally USDA inspected and each cut is weighed, labeled, and shrink-wrapped so you get exactly what you want! 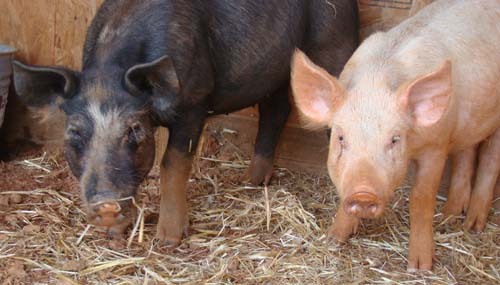 We anticipate that freerange pork may be available winter 2017.